Are you looking for places where you can find a list of scholarships to apply for? Trying to find funding for college can be difficult at times, but there are plenty of sites out there that can help you with your search. It's also a lot easier now than it ever has been before to apply for college scholarships if you know the process and have a few leads on some great scholarships to apply for. Keep reading to find a list of scholarships for your financial needs. Before one starts to look for money for college, it's important to know just exactly what a scholarship is. A scholarship is generally money given to a student to pay for college. The money given in a scholarship is never intended to be paid back. 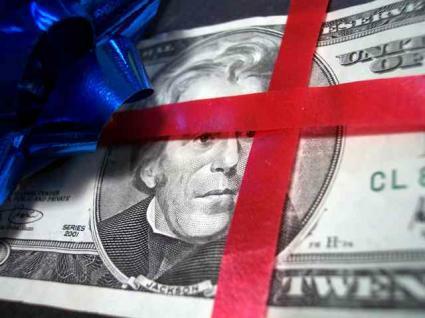 Scholarships are "gifts" to help ease the cost of college tuition. Often, a scholarship is given based on academic merit or a natural talent, such as poetry writing). Sometimes scholarships are given to students on the basis of their nationality or family history, such as scholarships for minority students or those who come from certain heritages. Scholarships can come from private endowments, such as alumni donations, or from large companies like Pepsi, Wal*Mart, or Target. Fastweb.com: Fastweb is one of the most popular college scholarship search engines for a reason. The site is partnered with Monster.com and is updated daily. The site boasts over $1 billion dollars in scholarship money available to students. The College Board: Students everywhere may know the College Board as the mind behind popular tests like the PSAT and SAT but they are involved in more than just testing. Their site features help for those looking to find colleges and even more help for those looking to find scholarships. The search locator features over $3 billion dollars in funding just waiting for students to apply. Unigo: Formerly known as ScholarshipExperts, Unigo is one of the larger sites for students looking for scholarships. Need a little motivation in your scholarship search? The site provides a listing of scholarship winners who have applied for scholarships on their site since 2007. Scholarship-Monkey: Scholarship-monkey is yet another site for you to find the best scholarships for you to ease your tuition. CareerOneStop: Formerly Acinet.org, this is one of the easiest scholarship search engines available. The site searches through all types of aid (fellowships included) to find students the most money for college possible. There are some scholarships that don't make it on to web search engines or into scholarship books. Often, your school's college office or guidance office will have information on these scholarships. Many of these may come from local businesses or from the school itself. There may be a private endowment set up for students of a certain caliber or with an interest in a certain field. Your college office is there to help you with these type of searches, so be sure to make good use of them! Paying for college has become an expensive process. Many students have in excess of $100,000 in loans after they graduate college. To decrease the odds of this happening to you, be sure to exhaust your college scholarship search before taking on student loan debt!